This is a sponsored post written by me on behalf of I Love To Create and Tulip Paints. All opinions are 100% my own, and these products are amazing! and add some bold pops of color to everything. 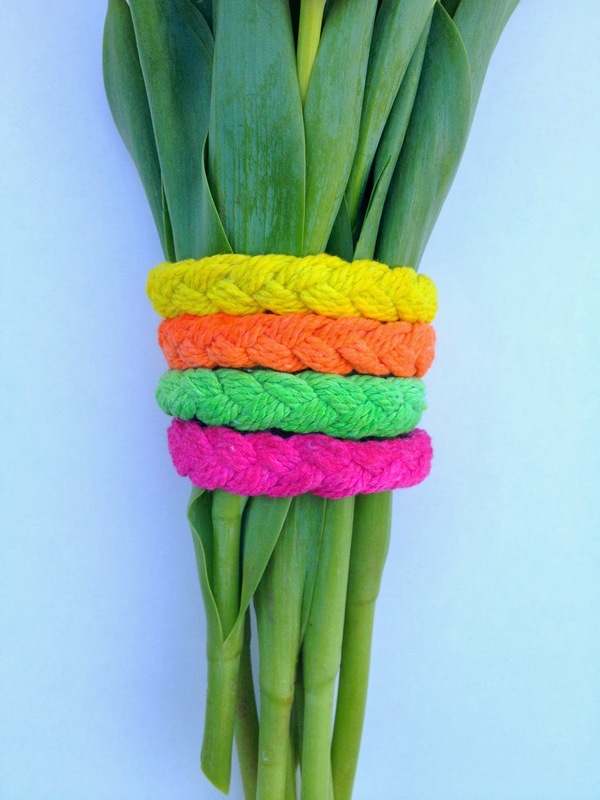 These neon sailor bracelets could not be easier to make. 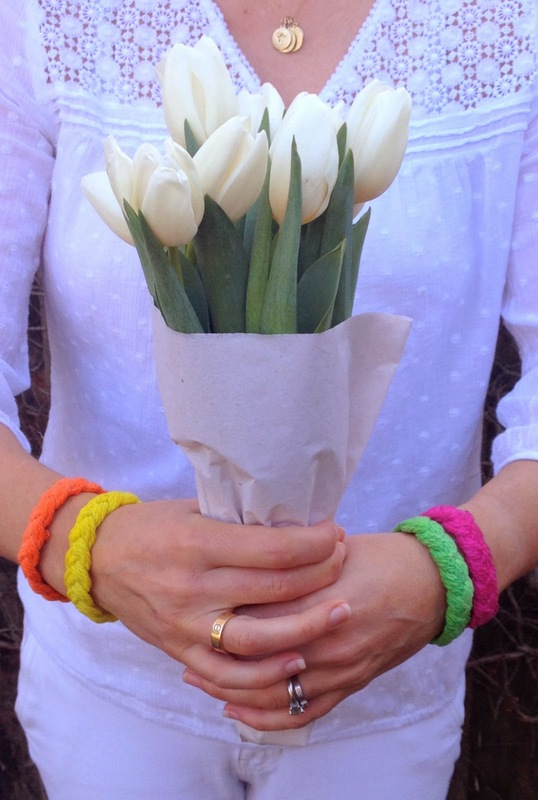 I used Tulip One-Step Mini Tie-Dye Kit and white cotton braided bracelets. then filled the dye bottles with water, shook until dissolved and squirted away! 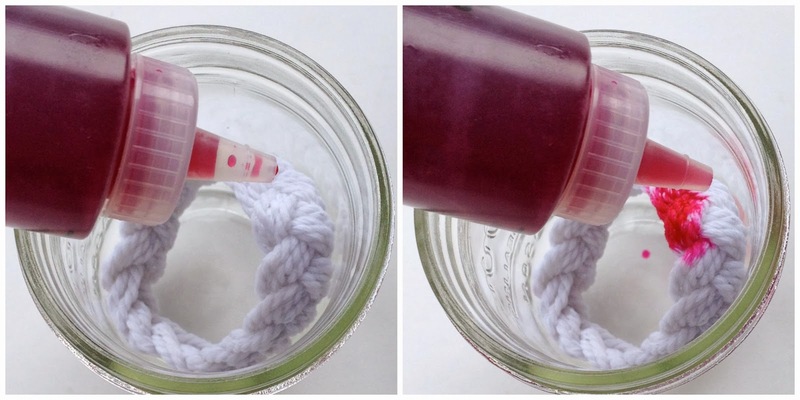 Once completely saturated, let sit in dye until desired color is reached. I let mine sit about 15 minutes. Then wrap individually in plastic wrap for a few hours. Rinse in running water until it runs clear. 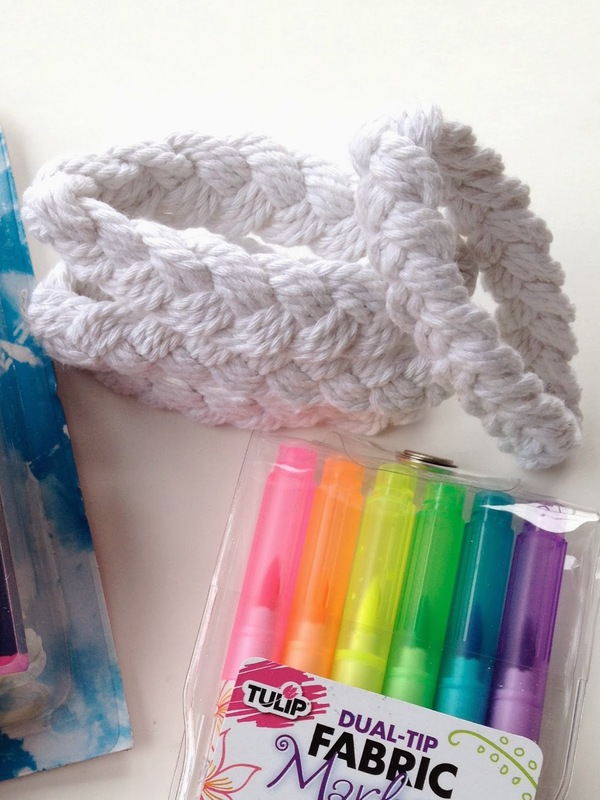 Let dry and slip your neon on! 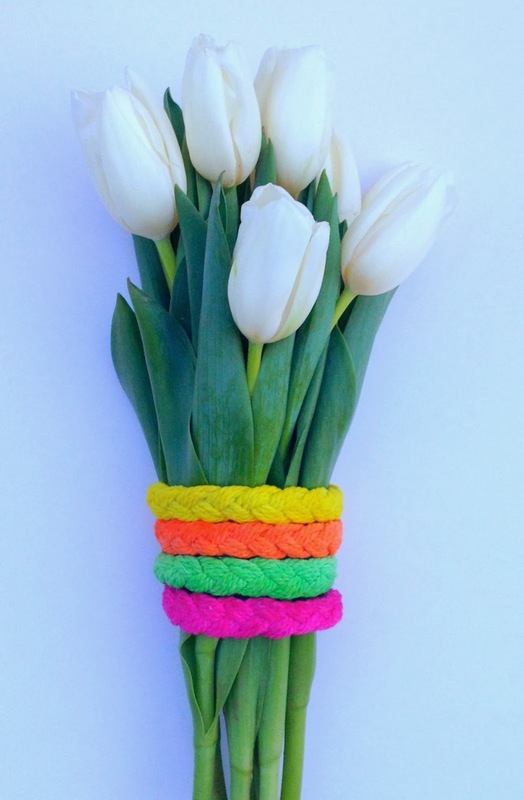 In my opinion, there is no better combo for Spring than Tulips and Neon! 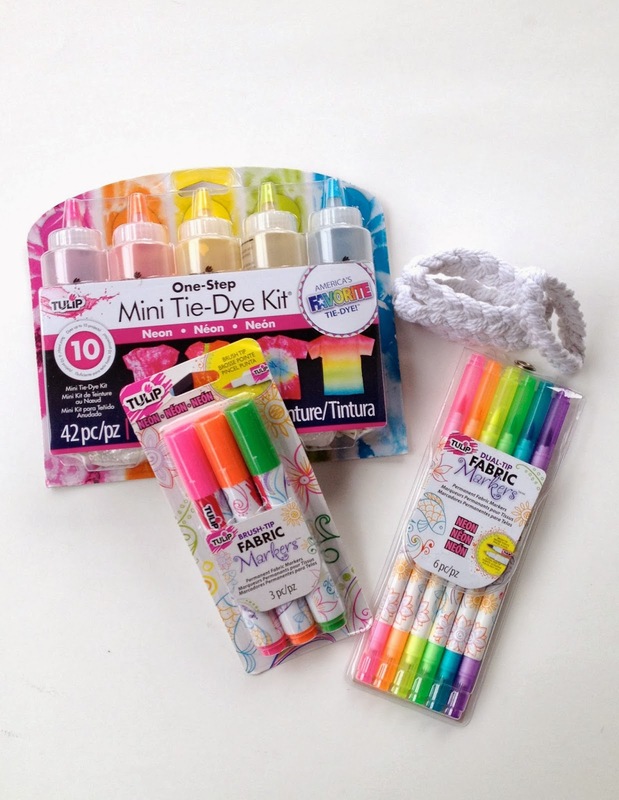 I can't wait to use the Tulip Dimensional Neon Paints in our next project. Very cute! That looks like a fun kit.